Floor Savior has been launched to address the ever-increasing need of consumers who are having difficulties finding qualified installation experts and who may be experiencing flooring failure issues and need answers. Whether you simply need a floor repair, an installation, have an inability to find a qualified installer in your area, need a solution to a substrate problem no one has been able to address in your locale, or answers to technical questions we are here to help. 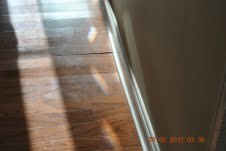 Delaminating engineered hardwood due to mopping. 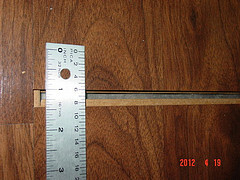 The laminate floor cannot move in all directions because half the floor is locked in, which, in this case, caused the end joints to gap. And the end joint is within 1 inch. 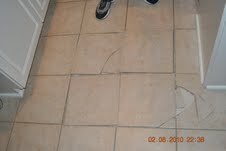 Incorrectly laid tile, resulting in popping and fracturing. Copyright © 2012 Top Floor Installation Co. All rights reserved.